As with all insurance, the amount of benefit or reimbursement you have in the event of an incident is set at the time you buy your policy. 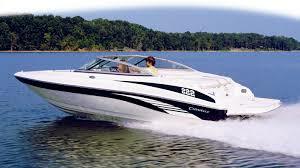 Call us today at 800-746-1426 to be sure you are covered this boating season! Customize your insurance choices to your family’s situation and put an end to needless worry. HOME – Consider adding separate flood insurance to your policy. if you’re in a flood zone, it’s probably mandatory, but not if you live on the outskirts. Flood damage is not covered under standard home insurance, whereas 90% of all natural disasters in the U.S. involve flooding. RENTERS – If, for instance, there’s a fire at your apartment, your landlord’s insurance isn’t going to cover the loss of your property. CAR – Practically every state requires auto liability insurance. Weigh additional coverage options – from collision to comprehensive – based on your needs. Expanded coverage is recommended for families with teen drivers. HEALTH MEDICAL BENEFITS – Are a must, so take time to familiarize yourself with the terms of your coverage. It’s also a good idea to reassess your coverage needs and understand policy changes as they happen. LIFE – If you have kids living at home or who are financially dependent on you, a life insurance policy will help cover living expenses should anything happen to you or your spouse. This may seem, to some, too simple a thing to require direction. However, there are elements of the process that some people don’t know or just don’t think about. If you are about to file a claim for damage to your home or vehicle, this might be a good article to read. 2. Estimate the amount of damage. If the damage is to your home, you can call a home repair contractor and ask for an estimated cost of the repairs. If it is your car, contact the repair shop you would prefer to use and ask, if they can give you an estimate. You want to try to get FREE estimates. Always ask if the estimate is free or if there is a charge. Shop around. Your insurance company may require multiple estimates. By getting one now, you have a head start on meeting that requirement. 3. Determine if a claim is worth filing. You should not file a claim, if you can determine that the repair costs are within your deductible. For example, if the repair estimate is $420 and you have a $500 deductible. The insurance company will not be paying for any of the repairs, you will. So there is no point in filing a claim. If you file a claim, this creates paperwork for you and the insurance company. Once you create a record of a claim against your insurance company, it stays in your file. Despite what insurance companies may say publicly, claims in your file may have an effect on your future insurance premiums. 4. File a claim. If the repair costs exceed your deductible by more than a few dollars, you will want to file a claim. Usually, all that is required is a call to your insurance company. Before you make this call, write down the date the damage occurred and your policy number. These are two items they will ask for to initiate your claim. Depending on your insurance company, the policy statements and the situation, you may have up to six months to file a claim. However, you should not assume anything. Read your policy. Additionally, if there is the potential for further damage, you should act quickly. 5. Depending on the company and the situation, the insurance company will likely send out an inspector or adjustor to examine the damage and write a report. These inspectors or adjustors work for the insurance company, not for you. Insurance companies don’t like to pay claims and some inspectors or adjustors are incented to deny claims. With this said, if you have a legitimate claim, you should expect to be treated fairly and expect the insurance company to honor the claim. If you have any problems with the inspector, during the inspection process, you should document the details of the situation and contact the insurance company to file a complaint. 6. The first thing to remember about the inspector or adjustor is that he or she is a person…a person who has work to do and the ability to disapprove your claim. Keeping this in mind, when you set an appointment time, be there. Do not keep them waiting. 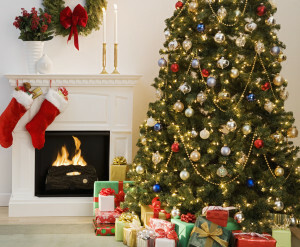 As a matter of fact, be a bit early. If they say they are coming at eleven, be there by ten thirty. Be courteous, provide them access to the damage they are there to inspect and answer questions associated with the damage. Don’t crowd them or “hover,” and stay quiet, unless they have questions. Why stay quiet? Remembering that the adjustor is a person who works for the insurance company and may be incented to deny claims, sometimes an innocent statement or story can send the inspector’s mind down claim denial road. Here is an example of just making conversation that could negatively influence an inspection. Your roof is damaged during a storm and water has leaked through to the drywall on the first floor ceiling. You would not want to say something like, “I know it is water damage, because my kids overflowed the bathtub last year and it made a spot like that on the ceiling.” Why? While you are not making a claim for the damage caused last year and that water damage is in no way related to the current water damage, you may cause the inspector to become suspicious. Why put your inspection and claim at risk over an unrelated situation? Go Sergeant Friday style, “just the facts, ma’am.” Caution: It is strongly recommended that you ask for identification from the individual claiming to be an inspector or adjustor. In today’s world filled with creative criminals, you cannot be too careful. Sometimes the inspector will give you a copy of their report, sometimes they will tell you whether the claim is approved or disapproved, sometimes they will tell you that the office will be in contact. Different companies and different policies are processed in a variety of ways. If you are not given an immediate answer, ten days is a sufficient amount of time to wait. If you haven’t heard anything about your claim, call. If for any reason your claim is denied, check to see if the company has an appeal process. If they do, it may be worth your while, especially if the repair is a costly one, to pursue your right to appeal. To submit a claim to one of our carriers click here. Here comes summer, and that means swimming pool season. Kids are breaking out the water noodles and beach balls. Adults dream of sunning on the poolside lounge or getting in a few laps. Your Trusted Choice® independent insurance agent may like an afternoon at the pool, too, but also wants you to enjoy lounging in the water, not waiting in the emergency room. 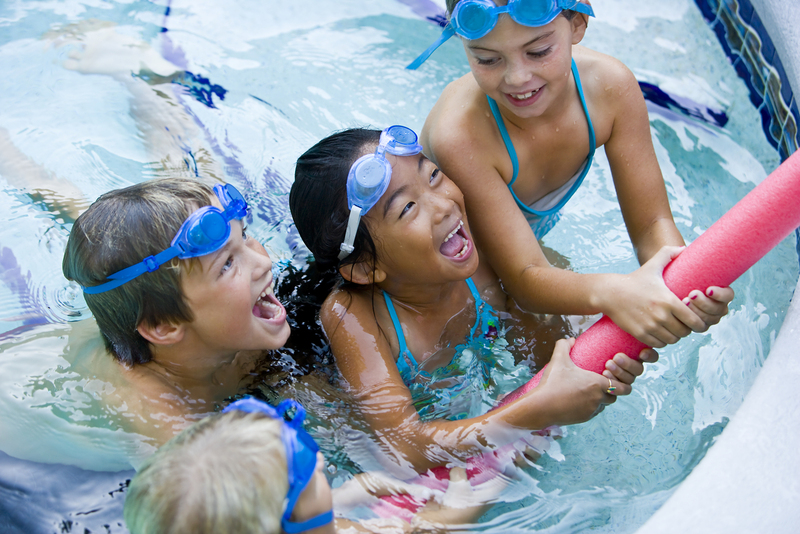 Pool-related injuries send unfortunate thousands to the emergency room every year (see sidebar). Always go feet first when using a water slide. In addition, water slides should always be installed in a deep area of the pool. Check local ordinances and codes for safety requirements, including specifications for ladder and hand rail placement and minimum depths for diving boards. All electrical equipment should be installed by a licensed electrician in accordance with local codes. Check the deck for safety hazards, such as protruding nails and loose boards. For above-ground pools, check metal supports for rust or deterioration. These may indicate areas where the pool could rupture or a person could be injured. 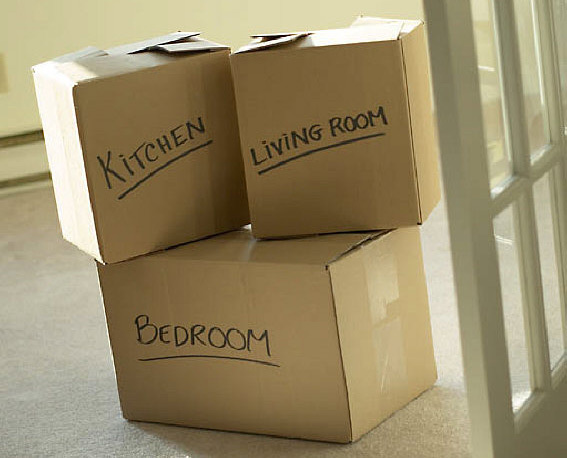 Moving generally indicates an exciting time of transition and life change- whether it’s moving from the parents’ basement to a first apartment or parents downsizing because the kids have all moved out. 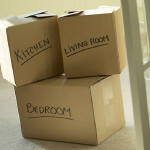 Whether you’re handling the move yourself with the help of friends and family or whether you hire professional movers, moving can be as stressful as it is exciting, and one way to relieve some of that stress is knowing that your possessions are protected during the transition. Whether your move is across the street or across the country it’s important that you discuss your move with aTrusted Choice ® independent insurance agent.